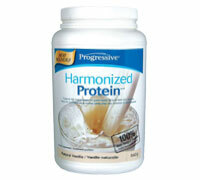 Harmonized ProteinTM is a synergistic blend of 5 unique proteins designed to offer an array of health promoting properties beyond that of any individual Protein source. The cattle that produce the milk used to create these unique proteins graze in open pastures and are raised without the use of hormones, including rBGH. New Zealand proteins are considered to be the cleanest and purest in the world. They do not contain antibiotics and are routinely screened for over 250 agricultural and chemical contaminants including pesticides, fertilizers and PCB’s.